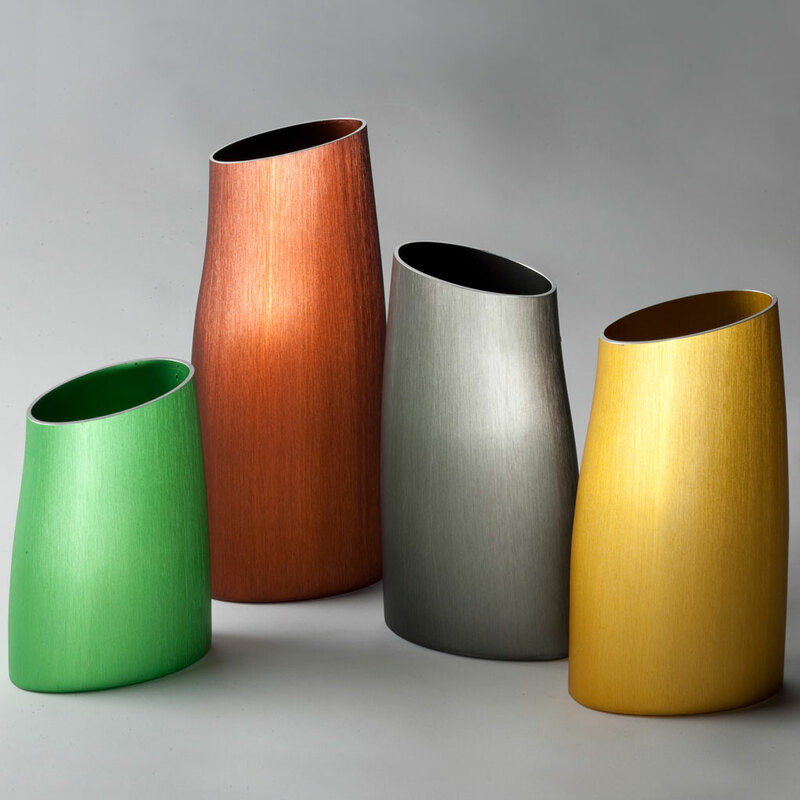 The Four Seasons Vase is designed by well-known Australian designer Robert Foster. Its distilled design comes from necessity: an elegant solution vested in simplicity. From the way it was made to the way it functions it complements many environs and fulfils its task. The fluid organic form requires precision skill in making and hand finishing. Available in four rich colours—gold, cooper, charcoal and green—which make it ideal for every season and surrounds. Together, the three sizes work as sculpture; singularly the form stands alone. There is a Four Seasons Vase to suit all types of flora.